If you're trying to buy a home, your dollars may go a bit further now. The National Association of Home Builders (NAHB)/Wells Fargo Housing Opportunity Index (HOI) finds housing affordability got a slight boost in the first quarter, thanks to rising wages and moderating home prices that offset a rise in mortgage interest rates. In all, 60.3% of new and existing homes sold between the beginning of January and end of March were affordable to families earning the U.S. median income of $68,000. In previous three months, it was 59.9%. The national median home price fell to $245,000 in the first quarter from $250,000 in the final quarter of 2016. the median is the point at which half the house cost more and half less. Meanwhile, average mortgage rates were up nearly half a percent -- from 3.84% in the fourth quarter to 4.33% in the first quarter. Youngstown-Warren-Boardman, Ohio-Pa., was rated the nation's most affordable major housing market for the second straight quarter with 92.7% of all new and existing homes sold in the first quarter affordable to families earning the area's median income of $54,600. Kokomo, Ind., was rated the nation's most affordable smaller market, with 96.3% affordability to families earning the median income of $62,500. 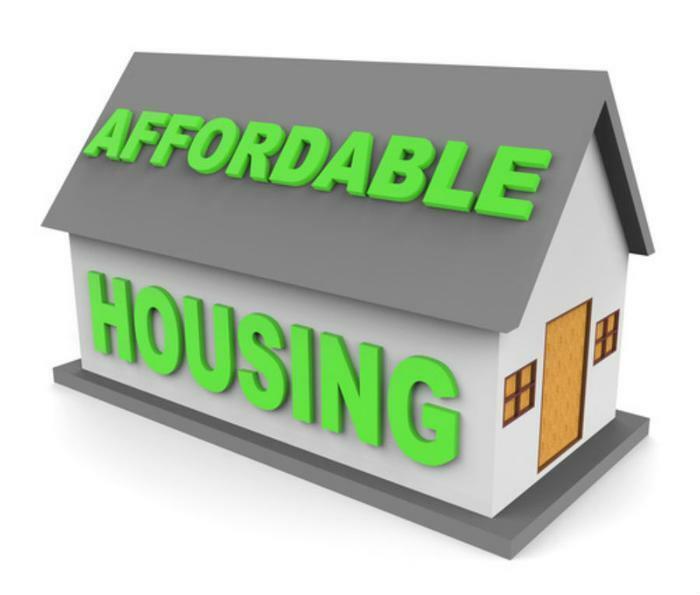 Rounding out the top five affordable major housing markets in respective order were Elgin, Ill.; Scranton-Wilkes Barre-Hazleton, Pa.; Buffalo-Cheektowaga-Niagara Falls, N.Y.; and Syracuse, N.Y. Smaller markets joining Kokomo at the top of the list included Glen Falls, N.Y.; East Stroudsburg, Pa.; Binghamton, N.Y.; and Lansing-East Lansing, Mich.
For the 18th consecutive quarter, San Francisco-Redwood City-South San Francisco, Calif., was the nation's least affordable major housing market. Just 11.8% of homes sold in the first quarter were affordable to families earning the area's median income of $108,400. Other major metros at the bottom of the chart are in California: Los Angeles-Long Beach-Glendale; Anaheim-Santa Ana-Irvine; San Diego-Carlsbad; and San Jose-Sunnyvale-Santa Clara (tied with San Diego). All five least affordable small housing markets were also in the Golden State. At the very bottom was Salinas, where 13.8% of all new and existing homes sold were affordable to families earning the area's median income of $63,100. Others at the lowest end included Santa Cruz-Watsonville; Napa; San Luis Obispo-Paso Robles-Arroyo Grande; and San Rafael.